Margaret E. (Gorman) of Newton Centre on Jan 27, 2019. Loving mother of Davis G. Droll III and his wife Jennifer of East Boston and dear grandmother of Nathan and Eliot Droll. Sister of Edward Gorman of Ridgefield CT, and is predeceased by her brother, Joseph H. Gorman Jr., and sister, Ann T. (Gorman) Madden. Margaret was a graduate of Regis College, and in her early 20’s, worked as a contributing writer to the Boston globe. She later lived and worked in Europe, and after marriage, lived for a year in Italy and Japan. In her forties, Margaret returned to school to receive her Masters from BC. 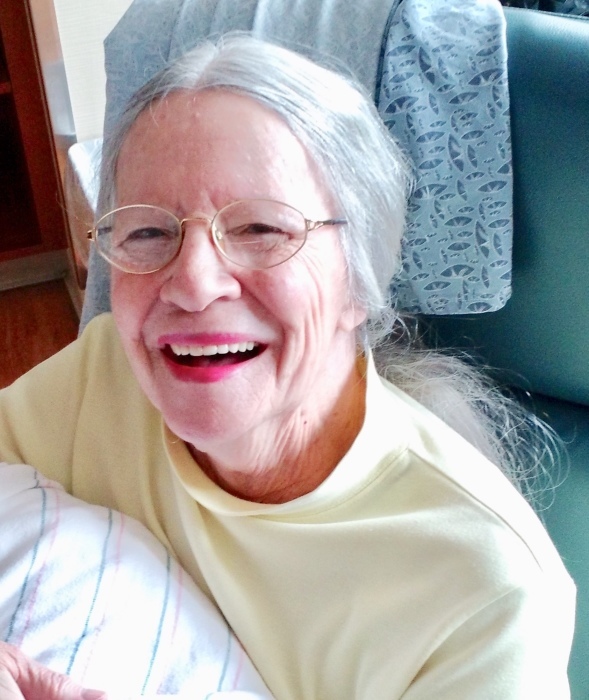 She taught in the Franklin school system for many years, and was a longtime member of the Catholic Charismatic Movement, the Secular Order of Discalced Carmelites, and an active member of her local Catholic Parish. Margaret was tickled to become a grandmother in her 80’s. Her Mass of Christian Burial will be celebrated on Tues Feb 5 at 12 Noon in Sacred Heart Church Newton Centre. Relatives and friends are kindly invited. Visiting hours in the Eaton & Mackay Funeral Home 465 Centre St on Mon from 4-7 PM. Interment private. In lieu of flowers, donations in Margaret’s name to St. Anthony’s Shrine 100 Arch St Boston, MA 02110 would be appreciated.